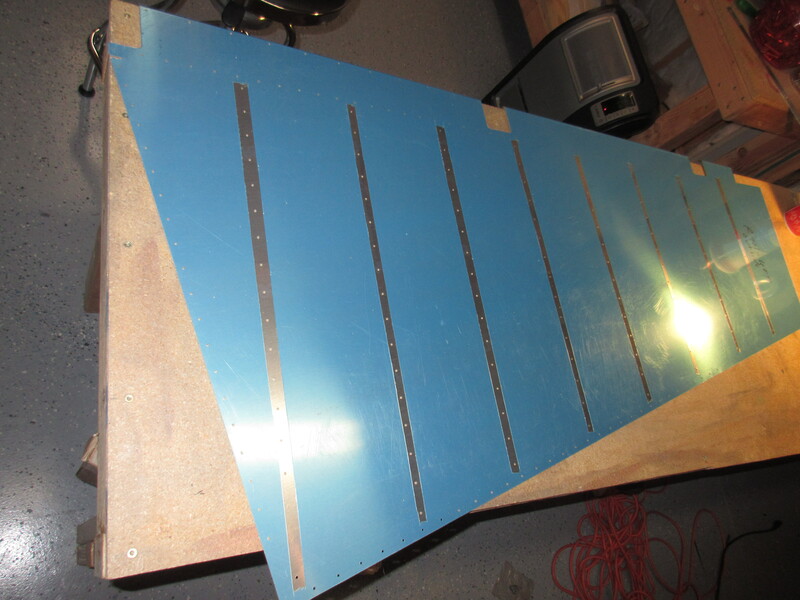 Tonight I finished up the rudder stiffeners. I filed down all the corners and smoothed the edges down. After that I ran them over the scotchbrite wheel to get the edges completely smooth and burr free. 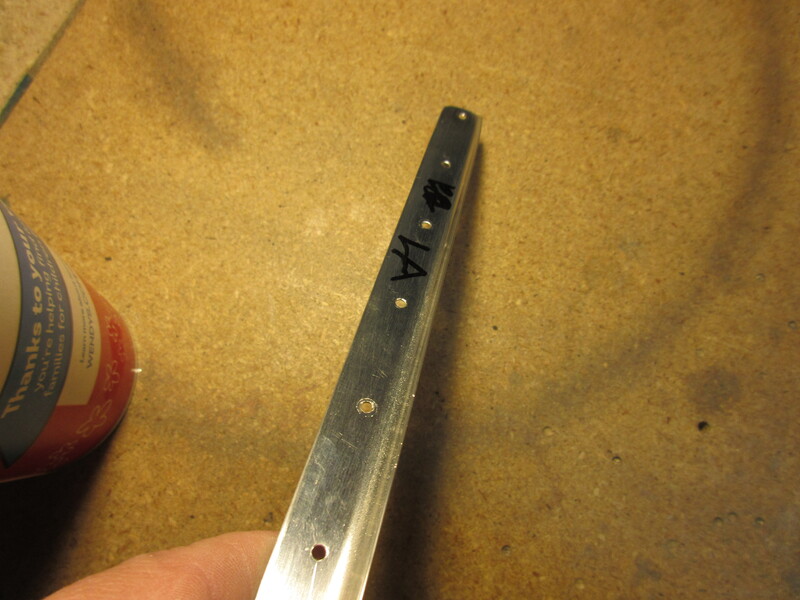 Once I had the edges and corners took care of, I moved on to deburring the holes. I finished all 16 stiffeners, 8 for each rudder skin, tonight and put them on the shelf until I can prime them. 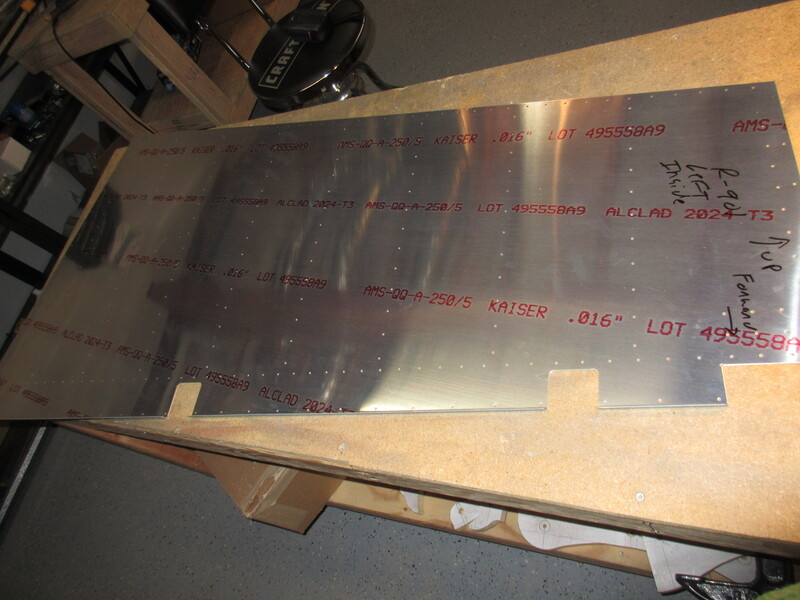 After that I removed the protective plastic from the inside of the rudder skins, and then a few strips along the outside where the stiffeners will get riveted. I’ll leave the majority of the plastic on the outside surface to protect the skins until painting, sometime down the road. I’ll prime the interior side in a few days. Tagged Rudder, Stiffeners. Bookmark the permalink.